The Ambridge Regional Distribution & Manufacturing Center is one of the longest-established industrial parks in Beaver County and the Pittsburgh region. 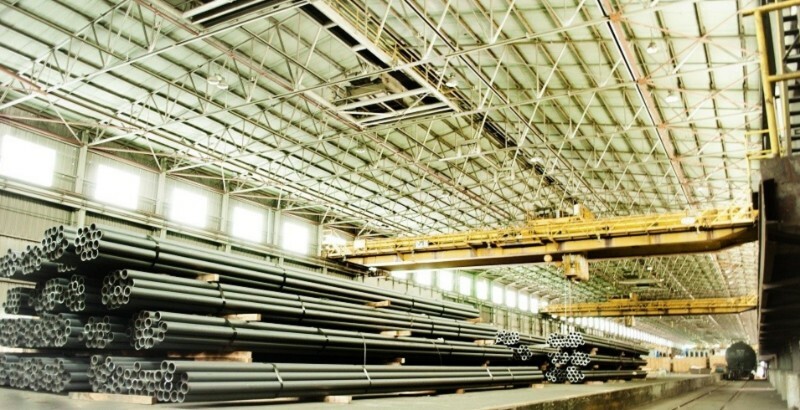 Our quality “Industrial Strength Space” has been carefully designed for optimum operating efficiency for all types of business. 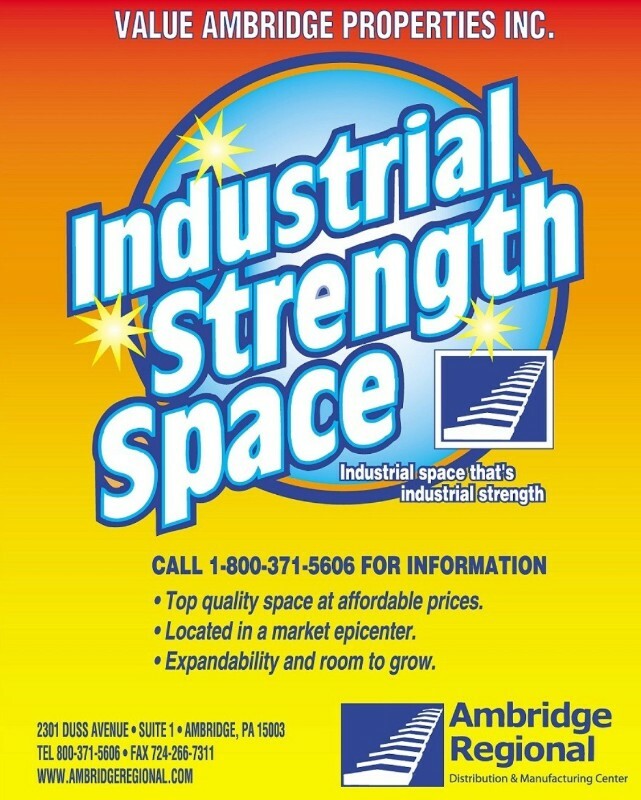 Spanning 85 acres, the Ambridge Regional Distribution & Manufacturing Center (ARC), contains 22 buildings and over one million square feet of leasable space, which includes: warehouse, office, wet lab, distribution, fabrication, manufacturing, light industrial and laydown space. Most of these areas have ceiling heights of more than 25 feet and column widths that exceed the minimum standards for warehousing and distribution companies. Build-to-Suit Space is also available to tenant specifications. The ARC is ideally located in close proximity to Interstates 76, 79, and 376; Route 65; the Greater Pittsburgh International Airport; the City of Pittsburgh; and Cranberry Township. This makes us a nucleus for wide-ranging industrial and development endeavors, including Marcellus and Utica shale projects, for which we are well-equipped. We are located eleven miles from the proposed Royal Dutch Shell proposed ethane cracker plant in Beaver County. Our site is home to a wide variety of tenants that include international corporations and Fortune 500 companies. Its “Industrial Strength Space” has global appeal, as evidenced by the number of its intranational and international tenants. Entirely zoned for industry, the park is designated as a Foreign Trade Zone (FTZ) and as an Enterprise Zone. 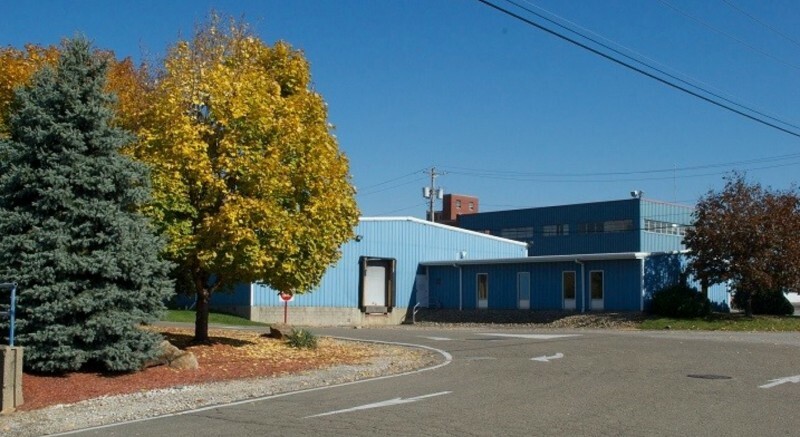 The Ambridge Regional Distribution & Manufacturing Center participated in Brownfield Redevelopment and the Pennsylvania Department of Environmental Protection Act 2 Land Recycling Programs. In these voluntary efforts, the ARC made significant financial investments toward the clean-up, redevelopment, and renovation of the entire property and received their Pennsylvania Act 2 Clearance in 2011. In addition to our affordable rates, we offer ample utilities and a variety of other amenities and advantages, including being Crane Served. 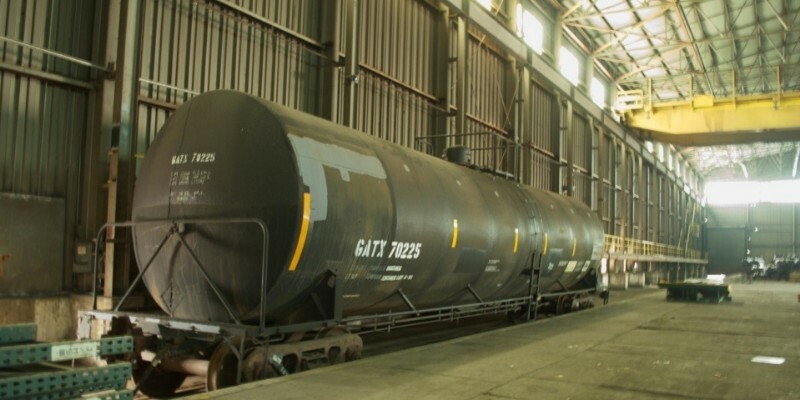 Our tenants also enjoy direct rail access to service by the Norfolk Southern Rail Co., via our Economy Yard, which connects to seven rail spurs within the ARC and are adjacent to the Conway Rail Yard and two nearby river terminals. We also provide on-site management and logistics services through our Con-Am Warehouse, helping our tenants save on overhead costs and other expenses. There’s no doubt that the Ambridge Regional Distribution & Manufacturing Center helped to spur economic growth in the area. Their reputation stretches far and wide, attracting businesses from around the world. For more information call Debi Leopardi, Managing Director, at 800-371-5606 or 724-266-466. To view available spaces, please visit our website.